62% of American teens who abused prescription pain relievers found them in parent’s medicine cabinets. 2009: 39% of those admitted to U.P. addiction treatment were prescription drug abusers (source: Northcare Coordinating Agency). 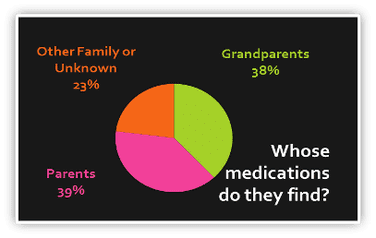 Marquette and Alger Counties: 14% of youth surveyed said they have taken a prescription to drug to get high in the past year (source: Great Lakes Center for Youth Development, Sidebar Survey, 2008). Pharmaceuticals (OTC and Rx) account for the majority of poison control center exposure calls for children ages 5 and under. In 2011 over 67,000 children were treated for medication poisoning. 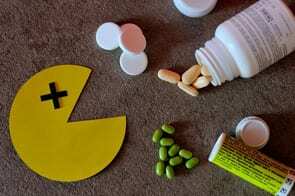 Where are children finding medications? 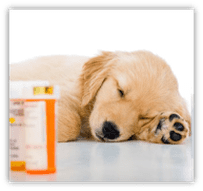 Human medication is the most common source of pet poisoning. In 2010 the ASPCA Animal Poison Control Center received 41,700 calls related to pets consuming human medications.